For lovers of green tourism, the estate "Victoria" offers comfortable and comfortable 2 and 3-bed rooms, which are equipped with all necessary appliances and furniture. The estate "Victoria" refused natural gas and installed a boiler - an air-heater on the wood. The owners of the estate are treated with dishes of Ukrainian cuisine, which are prepared from fresh and healthy products. 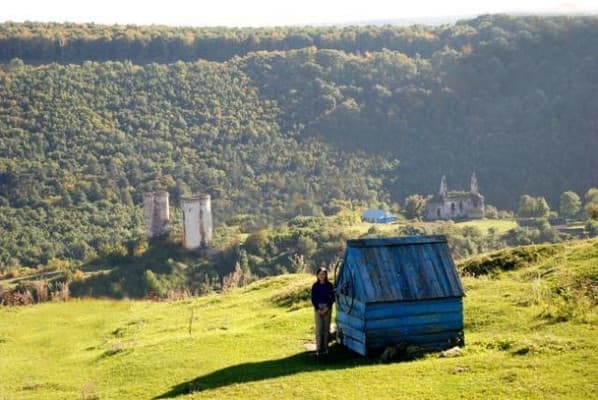 The estate offers boating; Fishing and bathing on the waterfall, on the Dniester River and lakes in the village. 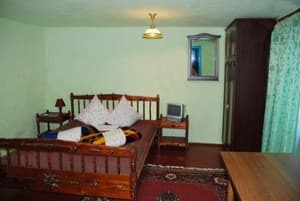 Description of the room: In the room there are four semi-double beds, a wardrobe. Дуже брудно.Жахлива антисанітарія. Немитий посуд. Павуки. Господар сказав, що ми в садибі самі. Ми виявили ще один незачинений вхід через маленьку потаємну кімнату. Там господар залишив свій мобільний заряджатись. Вранці телефон зник. Отже самими ми таки не були. Просто нас не попередили про ще один вхід до будинку. Враження залишились дуже неприємні. Young children are accommodated for free, for children of primary school age there are discounts of 50% of the cost of living, and for senior students and students a 20% discount is offered. The homestead offers comprehensive meals, and there is also the possibility of cooking yourself. 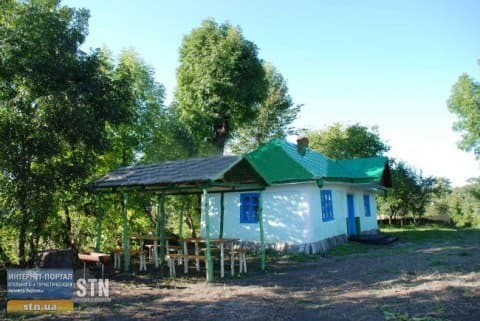 The farmstead is located at the very beginning of the village of Nyrkiv, 500 meters away there is a market and shops. From the estate there is a view of the ancient castle with a church, which is over 700 years old. From the urban village Tolsto, e Zaleshchinsky district, which can be reached by train, 10 km by shuttle to Nyrkiv village.